All college students have the right to learn and live in an educational environment where they are safe and are treated equally; the presence of gender-based violence threatens that right. This is the fundamental concept behind campus gender-based violence legislation. While campus gender-based violence is not a new problem, student-survivor activism has spurred an increase in governmental oversight over the past several years. Through Title IX, the Clery Act, and the White House Task Force the federal government has taken a strong stance on the responsibility of colleges and universities to effectively respond to and prevent gender-based violence. At the state level, Governor McAuliffe created a campus sexual assault task force and the General Assembly passed new legislation regulating institutional response. The national focus has inspired a number of improvements in how institutions respond to gender-based violence. Despite significant progress, though, reform has not been effective in all areas. The attention has almost solely focused on sexual violence, making dating/domestic violence and stalking secondary issues. Additionally, administrators have been so focused on complying with the detailed requirements related to response and adjudication that they have spent less time and resources on comprehensive prevention efforts. 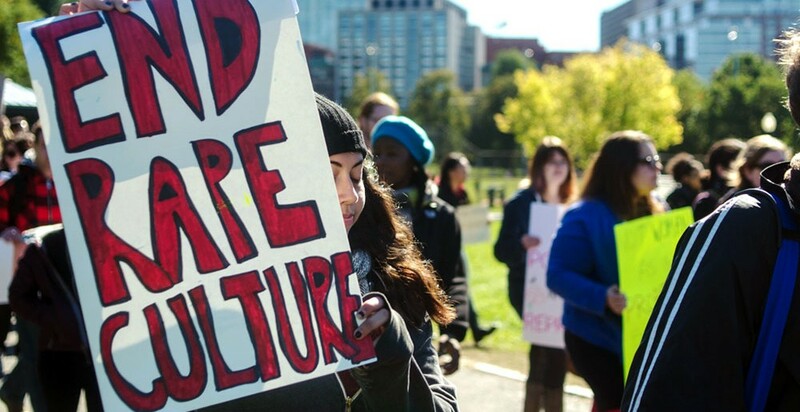 To truly eliminate gender-based violence on campus, survivors need to be supported, perpetrators need to be held accountable, and the campus culture needs to be changed so that it does not sustain oppression, discrimination, and violence of any kind. The public attention may be focused on the “epidemic” of sexual violence on campus, but college students also experience dating/domestic violence and stalking at high rates. Survivors of dating/domestic violence and stalking have the right to the same protections and services as survivors of sexual violence. Activist organizations such as Know Your IX are working to make sure institutions pay attention to all forms of gender-based violence. Gender-based violence prevention does not get as much publicity as response, investigation, and adjudication, but it is also a requirement of Title IX and the Clery Act. Prevention, however, is often at the bottom of the priority list and viewed as a box to be checked off rather than a critical component of an institution’s overall response. The Action Alliance and Virginia’s sexual and domestic violence agencies have a strong history of effective primary prevention work. Through projects like The Red Flag Campaign, they are helping campus professionals institute effective prevention programming. The Action Alliance recognizes the road to culture change and federal compliance is difficult. To help institutions achieve these important goals, the Action Alliance is developing a best practice guide that outlines trauma-informed and social justice oriented recommendations for campus gender-based violence. By focusing on trauma-informed systems and social justice oriented approaches, the Action Alliance seeks to fill a gap in existing resources. When published, this guide will help campus staff and local Sexual and Domestic Violence Agency staff institute changes that will meet both the letter and the spirit of the regulations. Jen Underwood is an independent consultant who works to prevent campus gender-based violence. She has over fifteen years of experience in advocacy, training, and prevention work.